This image, won several awards and printed in magazines, was taken on beautiful Siesta Key Beach in Sarasota Florida. I thought this would show how much fun your weddings can be. 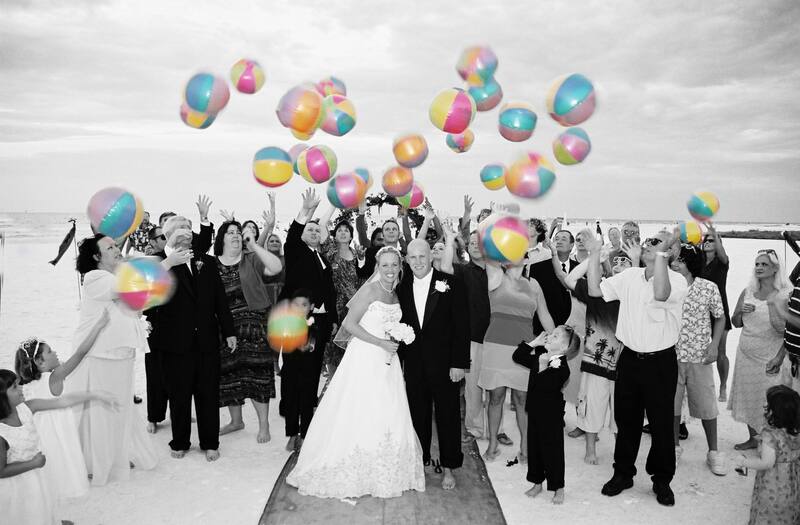 Fun comes in every wedding package for free. The beach is a great place for weddings, it is one of my favorite places to photograph them. Along with fun, beach ball madness, and soft white sand, there’s always a lovely romantic sunset shot on Siesta Key beach in Sarasota.